EPFL has developed tiny fibers made of elastomer that can incorporate materials like electrodes and nanocomposite polymers. The fibers can detect even the slightest pressure and strain, and can withstand deformation of close to 500 percent before recovering their initial shape, all of which makes them perfect for applications in smart clothing and prostheses, and for creating artificial nerves for robots. The fibers were developed at EPFL's Laboratory of Photonic Materials and Fiber Devices (FIMAP), headed by Fabien Sorin at the School of Engineering. 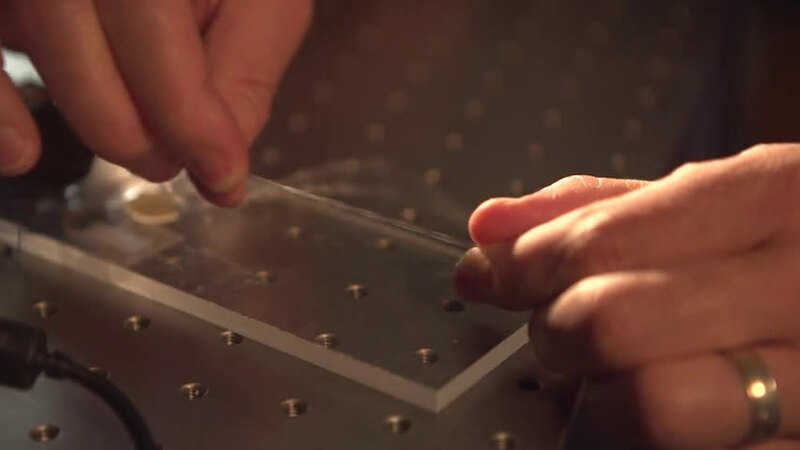 The scientists came up with a fast and easy method for embedding microstructures in super-elastic fibers. For instance, by adding electrodes at strategic locations, they turned the fibers into ultra-sensitive sensors. What's more, their method can be used to produce hundreds of meters of fiber in a short amount of time. Their research has just been published in Advanced Materials. To make their fibers, the scientists used a thermal drawing process, which is the standard process for optical-fiber manufacturing. They started by creating a macroscopic preform with the various fiber components arranged in a carefully designed 3-D pattern. They then heated the preform and stretched it out, like melted plastic, to make fibers of a few hundreds microns in diameter. And while this process stretched out the pattern of components lengthwise, it also contracted it crosswise, meaning the components' relative positions stayed the same. The end result was a set of fibers with an extremely complicated microarchitecture and advanced properties. Until now, thermal drawing could be used to make only rigid fibers. 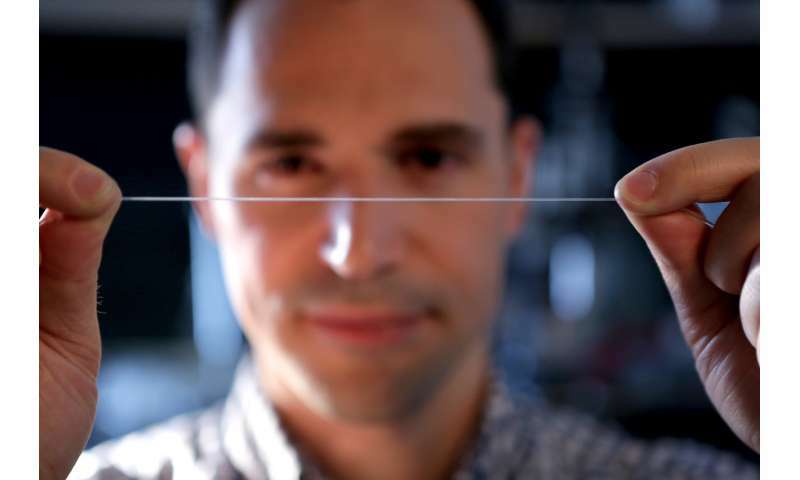 But Sorin and his team used it to make elastic fibers. With the help of a new criterion for selecting materials, they were able to identify some thermoplastic elastomers that have a high viscosity when heated. After the fibers are drawn, they can be stretched and deformed, but they always return to their original shape. Rigid materials like nanocomposite polymers, metals and thermoplastics can be introduced into the fibers, as well as liquid metals that can be easily deformed. "For instance, we can add three strings of electrodes at the top of the fibers and one at the bottom. Different electrodes will come into contact depending on how the pressure is applied to the fibers. This will cause the electrodes to transmit a signal, which can then be read to determine exactly what type of stress the fiber is exposed to—such as compression or shear stress, for example," says Sorin. The researchers see many other potential applications; the thermal drawing process can be easily tweaked for large-scale production. This is a real plus for the manufacturing sector. The textile sector has already expressed interest in the new technology, and patents have been filed.